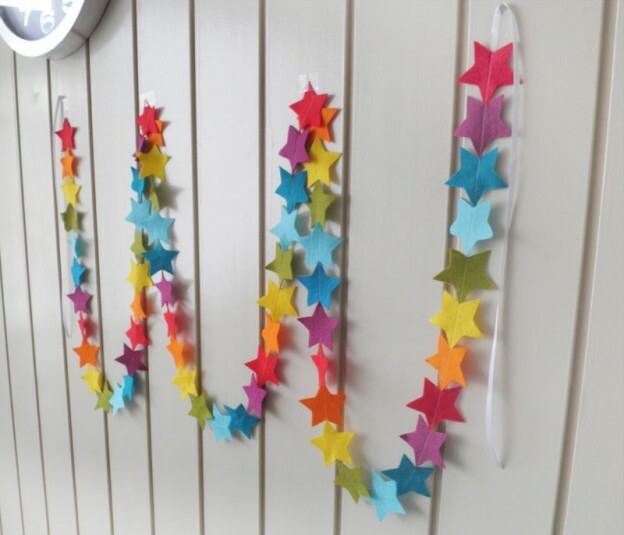 We moved into our new home back in February and there has been lots of DIY projects going on since with every room needing redecorating etc. 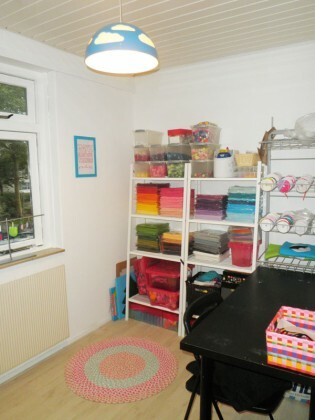 Finally this month I finished my craft room and was able to put all my supplies out nicely and within easy reach again! I have all my felt and buttons on shelves, with my ribbon out on the rack by my desk. In the other corner I have some storage draws for all the bits and bobs. 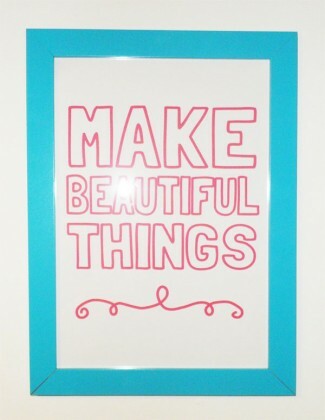 I also made a simple inspirational poster that I just printed at home and put in this turquoise frame from ikea. I still need to do a few finishing touches like setting up my photo area etc, but it is nice to have a little room to put all my stuff. 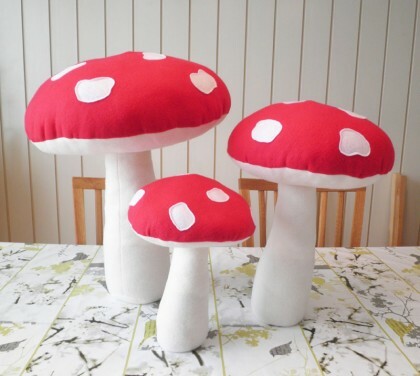 This entry was posted in Life on October 15, 2014 by Handmade Cuddles. 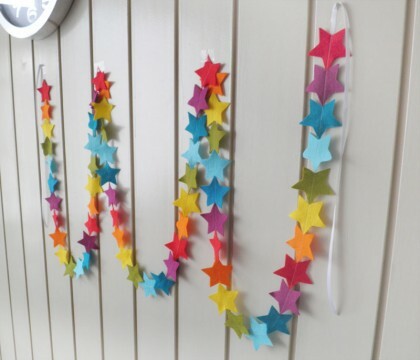 I love receiving custom order requests for my felt garlands, the colour combinations and requests that my customers come up with are just lovely! 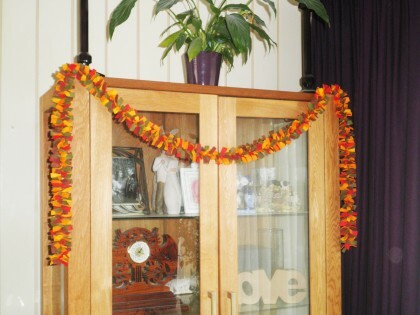 This beautiful garland is on its way to Emily in Australia. 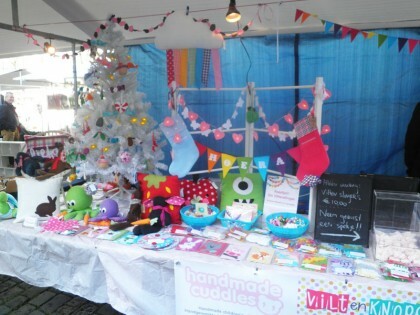 I absolutely love the colours she picked, away from the traditional rainbow but they look great together! 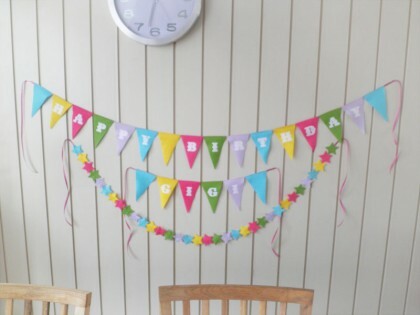 And I hope Gigi will have a lovely birthday with this set of custom birthday bunting and matching star garland. This entry was posted in Custom Orders, Garland on October 12, 2014 by Handmade Cuddles. It may be getting into Autumn, but today I am sharing this apple tree brooch tutorial with you. 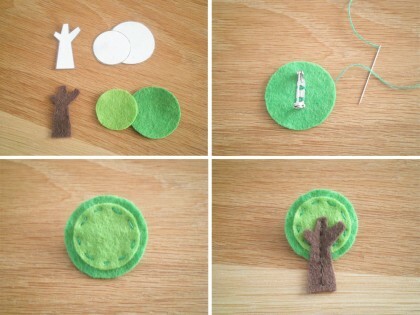 This is a real simple, yet adorable felt apple tree brooch that you can make with just a few supplies. Start by downloading the free pattern (listed above), print it off and use it to cut out your pieces of felt. On the larger felt circle, sew a brooch bar onto the back. Sew the smaller felt circle onto the other side of the larger felt circle. 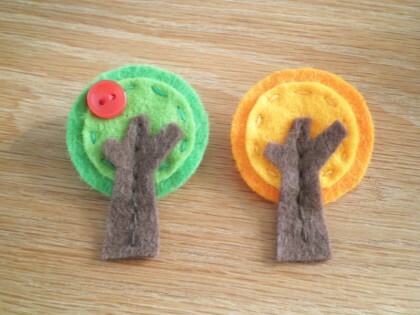 Take the felt tree trunk, and position it on the felt circles so the brooch bar on the back is horizontal. 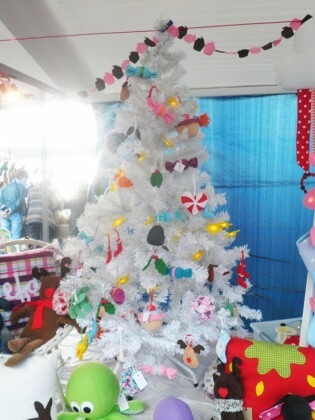 Then sew down the middle of the tree trunk. 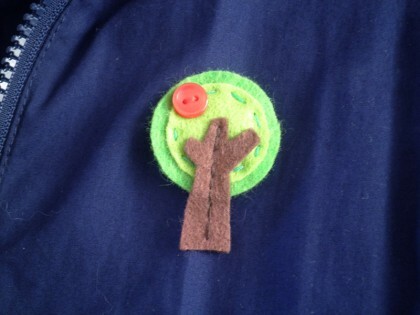 Then take a mini red button, and sew it onto the top left corner of the ‘tree’. That is your cute brooch all finished. This would also make a lovely gift for teachers at the end of the school year. Or why not make it with orange and yellow felt for an autumn tree like this one. This entry was posted in Felt, Tutorials on September 16, 2014 by Handmade Cuddles.